If you are contemplating replacing the garage door of your Keller home, the dead of winter may not seem to be the optimum time to do so. However, quite the opposite is true: frigid temperatures and brisk winds readily prove the need to upgrade your garage door from an older non-insulated version to a more modern insulated garage door. 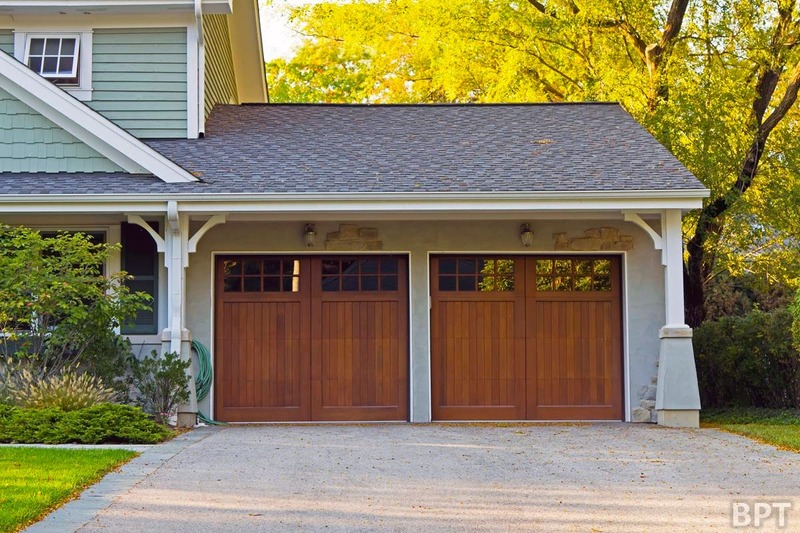 The garage door is generally the largest moving object in your home and offers the greatest exposure to the elements. An insulated garage door will maintain the temperature in your garage in the winter and summer and likely decrease heating and cooling costs. Insulated garage doors not only make the garage more comfortable inside but also affect the rooms adjacent to or above the garage. In addition, a well-insulated garage helps keep moisture out, and its sturdy construction offers a far greater noise-reducing sound barrier than non-insulated models. What should consumers look for in an insulated garage door? For starters, check out the R-value. R-value is a measure of thermal resistance to heat flow and is how most garage door manufacturers show the energy efficiency of their product. The higher the R-value of a door, the more insulation you’ll get. Second, look at the door’s construction. Well-insulated doors will have a “triple-layer” construction, consisting of environmentally safe polystyrene or polyurethane thermal insulation between two layers of heavy-duty steel. 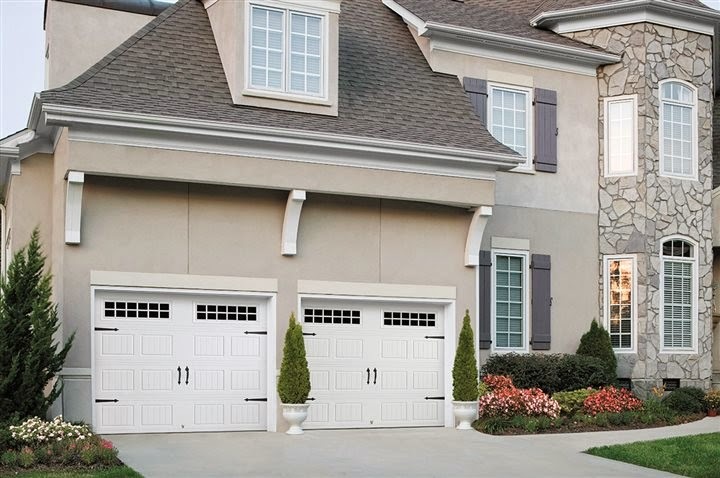 Of all the budget-friendly improvement projects you can complete before spring, a new garage door will not only save on energy costs, it will give you one of the best returns on your investment and provide a great value for your home. Over the last few years, surveys indicate that installing new garage doors has been a project in the top rankings for return on investment. Whether your garage door withstands heat, wind, snow, rain or all of the above, it’s the largest line of defense for your Keller home. Make sure that it’s working hard for you by reducing your home’s energy consumption, increasing your home’s curb appeal and adding to the value of your home for years to come. The end of a year usually means one thing: resolutions. As you bid farewell to the holidays, it’s all about what you want to change, upgrade and do better. Health and well-being are always the first things that come to mind, but don’t overlook your home. In fact, sometimes it’s the first place to start – from a total overhaul to the simplest design changes. Those major or minor design decisions can really impact not only how you live, but also the health and happiness of you, your family and your Keller home. The first thing, and maybe the most important, is to clean the house. Don’t underestimate how important that is, and what a difference it will make. Next, clean up the clutter. Getting rid of all the clutter, which has probably been piling up all year, will allow a room to really shine again. It’s all about editing – throw out what no longer works to make room for things that are necessary to live well. If there’s one easy change to make in a home, make it the lighting. Maybe it’s a pair of statement sconces in the bedroom or a pendant light in the entryway. When it comes to design tricks, lighting is one of them. It can change the whole feel of a room in an instant. 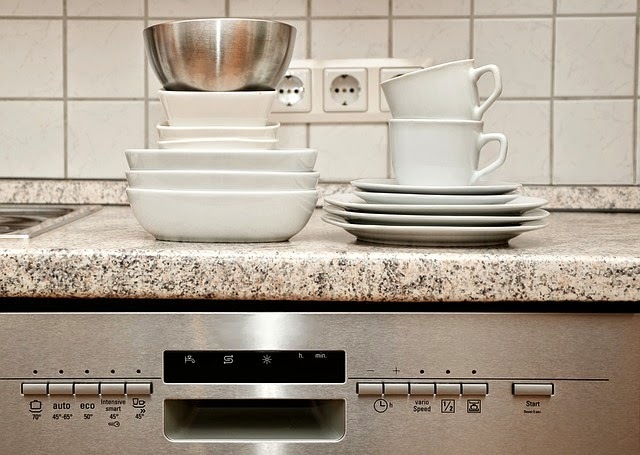 As society moves at a rapid pace with technology it is important not to get caught up in buying the newest, most expensive appliance just for the sake of it. For Keller homeowners, while it doesn't hurt to be open to the newest high tech appliances, researching products and deciding which of them (if any) fit your home the best will pay off in the long run. Maybe 2015 is the year that you commit to that renovation. If thinking of a full kitchen remodel, it’s one of the best investments to make in the home. Reach for things that you think you will be happy with long term because replacing your stove, or wall tiles, or flooring the next year or even after 10 years, is not an option. If you’re not able to take on a full kitchen renovation this year, don’t worry – it can be as simple as layering in some color. Adding in a bold accessory is one of the easiest ways to change the look and feel of a room. Color is a great way to add personality, and accent pieces are the best way to make a statement; if by summer it’s time for another refresh, those pieces are easy enough to change out. Are you getting ready to sell your Keller home? As soon as your listing goes live you'll begin entertaining potential buyers who will be inspecting your entire home to ensure it meets their needs perfectly. Your bathrooms will be a key area of focus and you might be surprised to learn that the look and feel of these small rooms can make or break a sale. Here are three quick tips for renovating or upgrading your bathrooms to freshen up their look before potential buyers start viewing your home. Before you begin, take a close look at your bathroom. Is there wallpaper on the walls? Are the sinks and faucets a bit dated and stained? Does the bathtub have a crack in it or is there some discoloration in the tiles or grout? If your bathroom hasn't been renovated in the past few years, there's a good chance that the entire room needs to be overhauled. Clean all of the fixtures, materials, cabinets and even that dated flooring out and start from scratch. Before you begin you'll want to have some sort of color palette in mind. Does the bathroom receive some sort of direct sunlight? Is there a skylight or a window in the room? Is there a color theme in other rooms in the house that you'll need to match up with? Having some color ideas in mind will significantly assist with painting and adding shower curtains, towels, mats and more. Remember that you're selling the home and that you're likely to regain some or all of the costs of your bathroom renovations in the form of a bump in your selling price. Don't purchase cheap faucets or fixtures as buyers will be looking closely and they'll want to ensure they're buying a home that has quality building materials used throughout. While you don't have to go too luxurious, use materials that are high-quality. 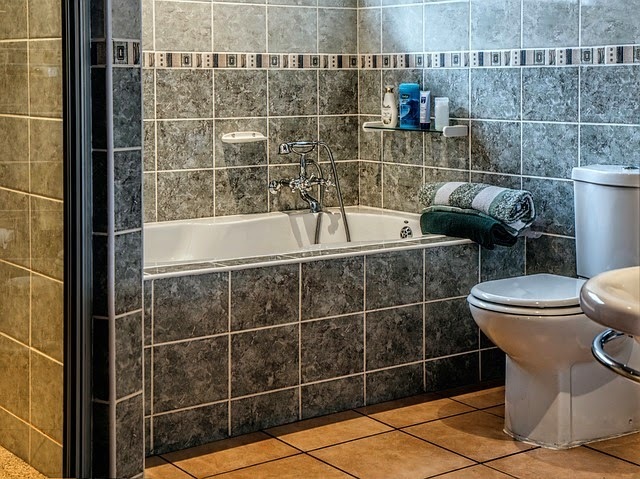 Breathing some new life in to your bathrooms won't break the bank, but it might just help secure your Keller home sale. Whether you're just listing your Keller home for sale or you've already started entertaining potential buyers, focusing on your "curb appeal" can drastically increase your chances of a quick and successful sale. Here we'll discuss how to present your front and back yard in order to make them more inviting and welcoming to prospective homebuyers. Whether you're standing on the street looking at the front of your home or you're on the patio looking out over your back yard, your lawn is an area that potential buyers are sure to focus on. You'll want to ensure that your lawn is very well-kept, with no weeds, dandelions or patches of clover breaking up the continuity of the grass. While enjoyable for some, maintaining the lawn is a task others find too time consuming. There is always the option of hiring a lawn service to maintain your lawn. 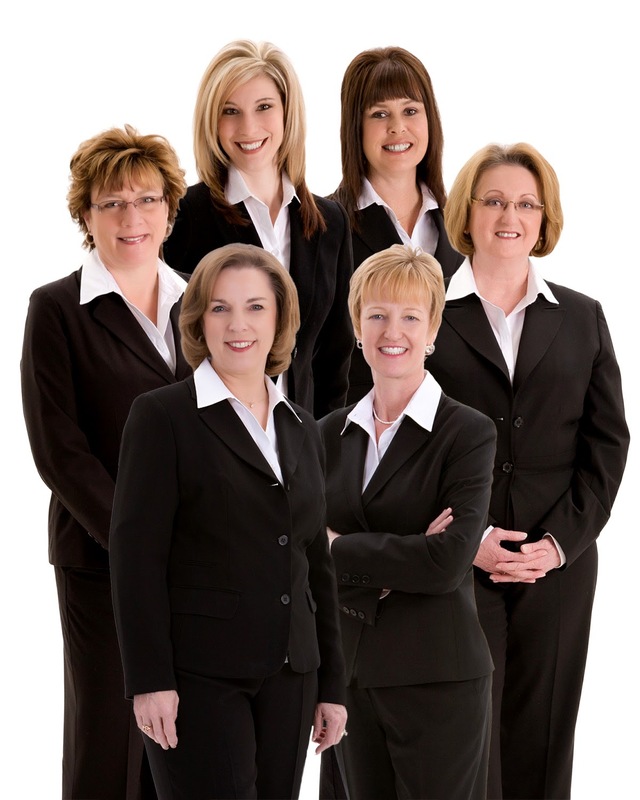 The Grove Team can refer you to services in your area. Once the lawn looks appealing, it's time to move on to your gardens and other landscape features. Gardens are the best way to add a vibrant splash of color to your yard and they can be used to accessorize the front or back of your home to break up the monotony. Choose flowers or plants that are in season for your area to ensure that they are healthy while potential buyers are driving past and viewing the home. Also, keep in mind that most of the time, less is more; don't over-do your gardening or it can become a bit overbearing. As previously mentioned, there are services that can help you with landscaping. Your back yard will be a significant feature for many prospective homebuyers in Keller – especially those with children. You'll want to ensure that your back yard feels as inviting as possible. If you have a deck or patio, ensure that you have furniture and that your grill is tastefully arranged so the buyer can picture themselves hosting friends and family. 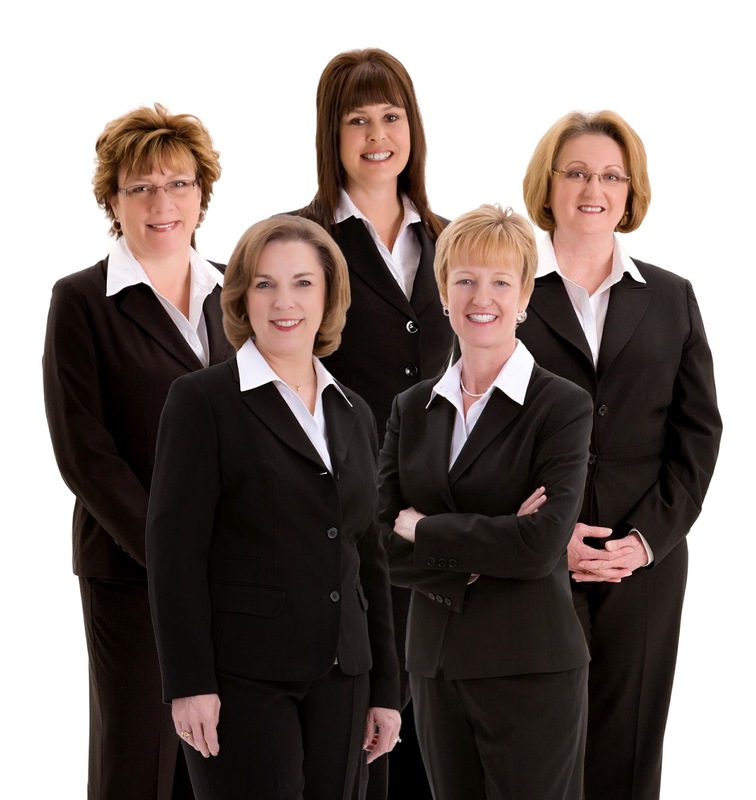 The Grove Team can assist you with home staging and refer you to other services that can improve your home's appeal. Have you been putting off some seemingly hard-to-handle home improvement projects for your Keller home? If so, there’s still time to tackle do-it-yourself tasks like a pro – from painting high ceilings and stairwells to repairing garage and basement floors. With the right tips and tools, you can accomplish these home improvements in a snap. Has repairing and/or repainting the floor of your garage or basement made your to-do list for years but never seems to be your No. 1 priority? Make this year the one where this project gets done. First, pick up protective eyewear and gloves for the job as it will involve paints and cleaners, and be sure the area is well ventilated. Before beginning, it is best to remove stains by using a three-parts water to one-part bleach mixture. For tougher stains, consider using a pressure washer. Be sure to thoroughly rinse the area. Once the floor is clean and dry, repair any cracks in the concrete using concrete/mortar-repair compound for smaller cracks or concrete patch for larger ones. Next, you will want to apply a thin primer coat using a paint roller attached to an extension pole to ensure you don’t paint yourself into a corner. After eight hours, start with a coat of the floor paint and allow the first coat to dry for one full day before applying the second. Wait about 24 hours before walking or driving on the newly painted surface. When it comes to sprucing up foyers and great rooms, painting may appear to be a challenge for most Keller homeowners – especially when it comes to the ceiling. But it doesn’t have to be. Start by covering furniture and floors with drop cloths or plastic sheeting, or removing furniture from the room entirely. Start the painting process from the top. A fresh coat of paint on a ceiling can transform a room. Grab a ladder and be mindful of necessary safety precautions. Before painting, shield your eyes by wearing protective goggles. Lightly sand your ceiling and remove any dust with a damp rag or sponge. Then, edge around your ceiling with a paint brush to line the perimeter of the ceiling. Start painting in one corner of the ceiling and form a “V,” then roll the paint out and around. Work in 4-foot sections and always roll into the wet edge of the section you were previously painting. Wait for the ceiling to dry completely and apply another coat. Many two-story foyers are accompanied by stairwells with equally tall walls. These high-traffic areas are very visible, yet may be the last place homeowners care to spend time updating. While most areas of the home can be painted with a roller or brush and a basic stepstool, stairwells may pose a safety risk. There are few ways to carefully cross this potentially tricky task off of your to-do list. A sturdy extension pole that allows for smooth length adjustments is a must. Power Lock extension poles enable the user to safely and effectively paint areas in and out of reach. You can also utilize an extension ladder on the side walls of a stairwell with a ladder leveler. Simply place one leg of the ladder on one step and the other leg, with the ladder leveler attached, on the step below it. Adjust the ladder leveler so that your ladder is resting evenly, and you’re ready to update the walls and ceiling in this space. If you find yourself in a spot where the results are less than ideal or the job is simply too complex, don’t be afraid to reach out to a professional for assistance. By following these helpful tips and using the proper tools, you can complete lingering projects in no time. You'll then be able to enjoy great looking, long-lasting results. Painting projects are more popular than ever with do-it-yourselfers as studies indicate 94 percent are planning a painting project in 2015. DIYers are also planning their painting projects earlier in the year, with January, February and March marked as popular months to upgrade homes with color. If you plan to paint your Keller home this year, here are some tips to help prepare you for success. A fresh coat of paint in the right color can quickly transform the look and feel of any space in your home. To help choose the perfect color for your space, take advantage of the easy-to-use color selection tools available to help you find and try colors before you paint. Homeowners can use the online Color Visualizer, for example, to virtually paint a space and try on different color combinations, making it easy to choose colors with confidence. Choosing the perfect paint color is key to creating the look you want, but how do most people find the right color? More than half of DIYers (56 percent) say they look to nature for color inspiration, while more than a third (36 percent) take their color cues from Pinterest images. Needles to say, there are many more places in which homeowners can draw inspiration and it is important to choose a color that you are comfortable with. Once you've decided on the perfect color, make sure you're getting the best finish for the space you are painting. For durability and washability, choose a semi-gloss paint. Semi-gloss is a good option for areas such as bathrooms and kitchens, as well as trim. For high-traffic areas, like a hallway or a kid's bedroom, satin and egg-shell paints are preferred as the finish is easy to clean and maintain. High gloss paints are also extremely durable and easy to clean, making them perfect for windows, doors and trim. For spaces that have something to hide, a flat finish will work to your advantage. When planning your painting project, also consider the order in which you paint your space. Start with the ceiling, followed by the walls. If two coats of paint are needed, finish both coats before moving to the next step. Then, paint the windows from top to bottom. After the windows, paint the baseboards, trim and doorframe. Finally, paint the door. Following this order will help ensure a smoother painting process in your Keller home and will require fewer cleanups. Cold weather often brings many tasks to mind, such as weatherizing your Keller home, conducting car maintenance and preparing for holiday fun. However, one preparation often overlooked by many Texans is how to keep their families safe during the peak season for home fires. In a recent survey conducted by ORC International a surprising number of Americans don't know the recommended operating life of a smoke alarm. In the survey, only 9 percent correctly noted 10 years as a smoke alarm’s operating life. The survey also found that nearly 50 percent of Americans spend 15 minutes or less shopping for new smoke alarms – products that could save their lives. Certain new model alarms are designed to simplify choosing the right alarm for the right location. These alarms are the first UL-listed comprehensive line of smoke, CO and combination alarms containing a sealed, lithium battery that lasts 10 years - eliminating low battery chirps and providing nonstop protection. In 2013, the National Fire Protection Association (NFPA) reported 387,000 home fires in the U.S., and most of them occurred in the winter months. Having a working smoke alarm cuts the chances of a fatality in a reported fire in half. Unfortunately, while most homes (96 percent) have a smoke alarm, not all of those alarms work. Almost three out of every five home fire fatalities result from fires in homes with no smoke alarms or no working smoke alarms, mainly due to dead, missing or disconnected batteries. 1. Replace smoke alarms every 10 years. Consider installing smoke alarms with a 10-year sealed-in, tamper-proof battery. 5. Commit to fire safety. Staying fire safe helps keep your family safer and reduces the risk of injury to firefighters. New Price! 1207 Sabine Court in Southlake is now being offered at $525,000. This home with a spectacular lake view has a large kitchen with granite, covered patios and many great features! Contact the Grove Team today to schedule a private showing. Cold temperatures and problematic weather could be in store for Keller this winter and that means homeowners need to take steps to ensure that their loved-ones and property stay safe and warm through the long, cold months ahead. While forecasts are never a guarantee, this winter shouldn't be as nasty as last year because the persistent, large-scale atmospheric climate patterns that caused the cold last winter are really unlikely to form according to forecasters. Nevertheless, precautions should be taken. Chimney fires, frozen pipes, ice dams, and water are destructive enemies for Keller homeowners. Take time now to do the important things that protect your property. A few precautions can help protect you from serious losses and disruptions this season. While fire presents a year-round risk, certain causes of fire occur more frequently during the winter. Chimneys, boilers and furnaces pose particularly high risks. Studies suggest that approximately 25,000 residential fires begin in a fireplace or chimney every year. These fires are caused by a layer of unburned carbon-based residues (sometimes referred to as fireplace creosote) that builds up along the inside walls of your chimney and can eventually catch fire. The solution is to have a trusted, certified professional chimney sweep inspect your chimney annually and have it cleaned as necessary. A chimney and flue system is a complicated mechanical system that requires regular inspections, just as HVAC, plumbing, and electrical systems do. The only way to know if you have a problem with your chimney is to have it inspected regularly. While home fires make headlines, water damage is also common and often just as severe. The most frequent cause is faulty or broken pipes. In fact, studies show a surge in water damage during the first three months of the year, when pipes are most likely to freeze and burst. Be sure to insulate exposed pipes. 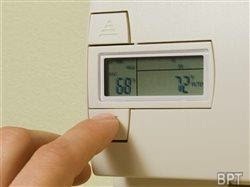 If you leave your home to spend time in warmer climates or even just a weekend on the ski slopes, always leave the heat on in your home and set the thermostat to at least 55 degrees. Don’t let high fuel prices tempt you into going lower. The pipes that come in through your foundation or run through external walls can reach temperatures much lower than the setting on your thermostat so have someone check on your home while you are away. A foolproof way to protect your home from broken or leaking pipes at any time of year is to install an automatic water shutoff system. Attached to your home’s main water supply line, these devices detect leaks as they happen and automatically shut-off the water to the home, thereby preventing further ongoing damage. Additionally, these devices can be integrated into a home’s security or smart-house system to provide real-time notification when the shut-off valve has activated. Power outages can cause many problems from food spoilage to basement flooding. Install back-up generators to power all of your home’s critical systems including sump pumps, security and fire alarm systems, and heating systems. Snow and ice storms can create a number of potential threats to your home. One of these is ice damming, which occurs in the days after a snowstorm. 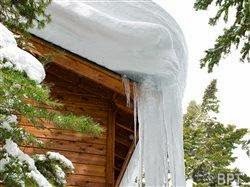 Icicles hanging from your eaves, while they may be beautiful, usually indicate that a dangerous ice dam has formed. An ice dam is a build-up of ice that can form at the edge of your roof when precipitation melts but is blocked from draining. When more precipitation melts and is trapped behind this ice, the resulting water backup can soak through your roof and cause damage to ceilings, walls and more. The most common causes of ice dams are clogged gutters and insufficient insulation, both of which are easy to remedy. Mature trees on your property represent another potential hazard during storms. Strong winds or frozen water that covers old branches with a heavy coat of ice can lead to failure and collapse, a clear threat to your home or other nearby structures. Have a trusted horticultural expert take a look at your property’s mature trees and prune or cut down unstable specimens. * Consider installing an automatic water shutoff device. * Prevent frozen pipe bursts by insulating exposed pipes. * Have your furnaces and chimneys inspected annually and cleaned as necessary. * Install backup generators for critical systems in the home. * Inventory your personal contents. * Remove stored items and clutter from your furnace room. * Set your thermostat to no lower than 55 degrees when you leave your house. * Have your roof gutters cleaned and inspected. * Replace insulation if necessary. * Keep art and collectables a safe distance from heat sources (fireplace, heat vents, etc.). 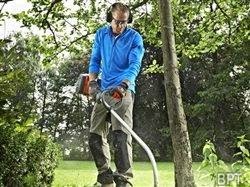 * Have mature trees inspected and maintained. * Have salt/sand on hand for icy sidewalks and driveways. Take a look at this stunning home located in Keller, TX. Located in a great community, this home has many great features and so much to offer. Contact the Grove Team today to schedule a private showing. For prospective Keller homeowners, it’s easy to get excited about a great location, spacious floor plan or beautifully decorated interior. Yet necessary repairs can apply to any home, especially if you’re considering an older, previously owned property. Before signing on the dotted line, use this checklist to help avoid some potentially costly surprises and anticipate repairs or upgrades that may be needed. Ask when the current roof was installed. Is it the original roof, or has it been replaced, repaired, or covered over with new shingles in certain spots? Are there known leaks, and if so, where are they? Have any of the leaks caused damage to the attic or interior? Also look at the chimney to see if it’s properly sealed around the edges and whether the gutters need repair. Next, take a look at the windows to see if there is any condensation between the glass panes. If so, it could mean window replacements are in order. Once you get inside the house and close the front door, see if any light is coming through between the edge of the door opening and the wall. This gap is an indicator that the door may need to be replaced since air can escape through it and cause higher energy bills. Throughout the interior rooms, check out how many electrical outlets there are and whether they are in convenient locations. Also, make sure you check to see if the lamps are masking the fact that there are no ceiling fixtures in each room. Will you need to rig up extension cords or invest in electrical work in order to support all the lamps, ceiling fixtures, appliances and electronics you wish to use? At the basement level, be sure to check out the heating system. If the current furnace is more than 10 years old, it may be operating at a much lower level of efficiency than the latest manufacturing standards require, resulting in higher energy costs. Newer models can operate at nearly 20 percent higher efficiency than the government minimum standard, and save you money in the long run on your Keller home. One thing you can’t see is the quality of the home’s indoor air. Nearly 72 trillion particles enter a home every day, making the air inside up to five times more polluted than the air outside. Adding a air cleaner to the heating and cooling system can remove 99.98 percent of airborne particles including dust, pollen, pet hair and dander, dust mites, mildew, lint, fungus, most tobacco smoke, cooking grease, and even bacteria from the filtered air – so everyone in your new home can breathe easier. You know that moving into a new home can be one of life's biggest stressors - the packing, the paperwork, the unpacking and of course finding the nearest coffee shop. Making your new Keller house feel like your home can help alleviate some of this stress and provide a safe-haven for some much needed relaxation. Not everyone has the same idea of what their Keller home should be. So while the same aesthetic won’t work for everyone, here are five tips to start you in the right direction. 1. Texture and textiles – Instead of having a bunch of hard surfaces, cozy up your home with something soft or textured. This could be a blanket, curtains or area rugs. These items will also provide some acoustical value so noises aren’t echoing in an empty space. 2. Comfort – Have some place in your home where you can relax, recharge and feel at ease. Make a space where you can spend time. 3. Color – A monochromatic scheme with pops of colors can bring you into a place where you feel comfortable and happy. 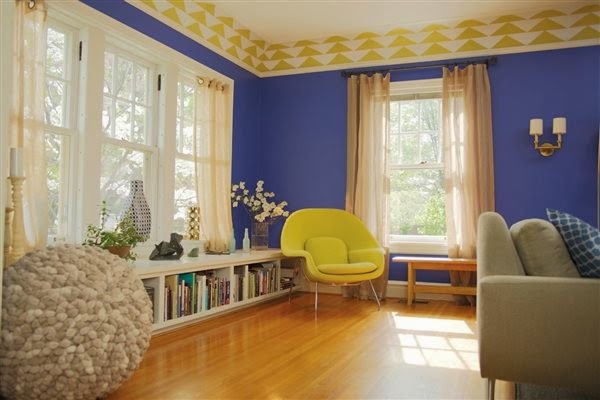 Do your research on color theory before painting any space. Different colors can spark different moods, emotions and even behavior. Discover what you’d like a given space to accomplish, and use colors as a tool to create such environment. 4. Lighting – There should be aesthetically pleasing lighting. Look at the difference between warm and cool lighting colors to decide what helps achieve the look you want. Also consider task, ambient and accent lighting for your space. Lighting plays a key role in any home. Through lighting design you can highlight design and architectural features, create lighting which is more useful to the human eye, and work with natural light while keeping energy use to a minimum. 5. Clutter/stuff – Less is more, but make it more meaningful. Get rid of your clutter. When sitting in your space, make sure you can look around and like the things you see. Select significant pieces of furniture and art to move. You don't need to have or show everything you have all in one room. Also, Let your garden and landscaping work for you on the inside by positioning furniture. If you are unsure whether you have winterized your Keller home properly, conducting a quick, simplistic energy audit can help prevent nasty surprises when the heating bill arrives. It’s human instinct to increase the heat during the coldest winter days, however, this comes with increased heating costs that can stretch the household budget. Air leakage contributes significantly to home heating costs. Air escaping from the home’s envelope means the furnace has to work overtime to compensate and maintain a comfortable living temperature. As a result, energy consumption remains high, monthly bills continue to climb and any efficiency achieved through other methods is fruitless. It is estimated that floors, walls, ceilings and windows account for 41 percent of air leakage in homes. A simple energy audit can help you better understand your Keller home’s performance and ensure your heating bills don’t break the bank this winter. Start by thoroughly cleaning all vents, filters and ducts. Use a vacuum to remove any dust and debris around your furnace’s filters. If you have already done this, you may then want to have a professional clean your ductwork. Cleaning can noticeably improve the performance of your home’s heating system, allowing it to run more efficiently. Having a home energy auditor complete a “blower door” test will allow you to better understand how air flows through your home. This comprehensive test measures how much air is moving through any cracks around doors, windows and other potential problem areas. A well-sealed home should have no leaks. 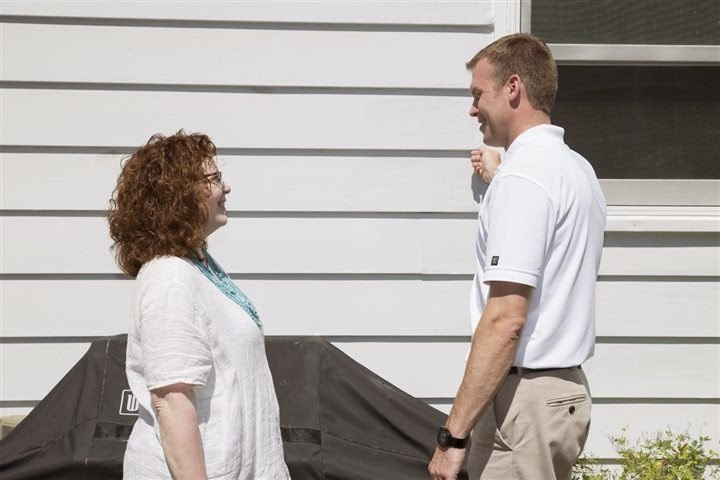 The energy auditor will also use equipment such as a “smoke pencil” and infrared camera to further assess the home’s overall performance and identify problem areas that need to be addressed. Finally, have an insulation professional assess your existing insulation’s performance. Gaps, cracks and inconsistency of insulation coverage can significantly impact your home’s energy performance, as well as your monthly heating bills. A licensed insulation professional can make recommendations as to how to address air leakage effectively with a better-performing insulation material. One high-performance, long term solution is spray foam insulation. Spray foam insulation works well in all climates to fill cracks and gaps, stop air leakage and help reduce the strain on your heating and cooling equipment. This insulation material both insulates and air seals the home helping to noticeably reduce monthly heating and cooling bills. Additionally, spray foam insulation’s air-sealing qualities allows you to reduce the size of your heating and cooling equipment since less effort is required to heat or cool the home. While air leakage can cause your heating bills to jump significantly this winter, completing a quick energy audit and having a well-insulated home can help you get through the cold winter months. To fix these problems, you can tackle the project yourself or call a professional to help. With the DIY population growing, an increasing number of people are completing projects on their own to help save money. An estimated 70 percent of home projects involve DIY and/or some help from family or friends. Being prepared is more than half the battle. Then you can focus on the task and not scramble to find the tools and information you need to complete a project. Consider the following tips to ensure you’re prepared to tackle any project or repair involving your Keller home. Acquiring standard tools with multiple functions such as the 100-plus piece sets you can find at a hardware store like Home Depot will empower you to complete simple fixes around your home and are an investment that will payoff due to a lifetime of use. Keeping up with these simple tasks helps prevent bigger issues down the road. Additional common tools such as power drills, pliers, hammers and screwdrivers will also help with basic home repairs. Common sense maintenance helps preserve the value of your home. Installing a new floor, replacing old windows, repairing walkways, updating your landscaping and adding new caulking around the tub are all simple ways to keep your home in top shape. 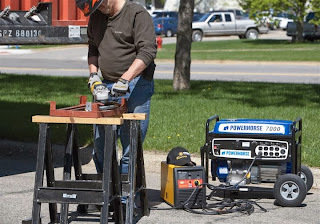 Tools such as a saw, nailer, chisel, sledge hammer and utility knife will help complete these projects and are worth the investment due to their frequent use. Storms, power outages and other disasters – both major and minor – will always be a risk, but the right tools will help you cope with a power outage. A few simple purchases – such as flashlights or battery-powered chargers for your small devices – will make emergencies easier to manage. 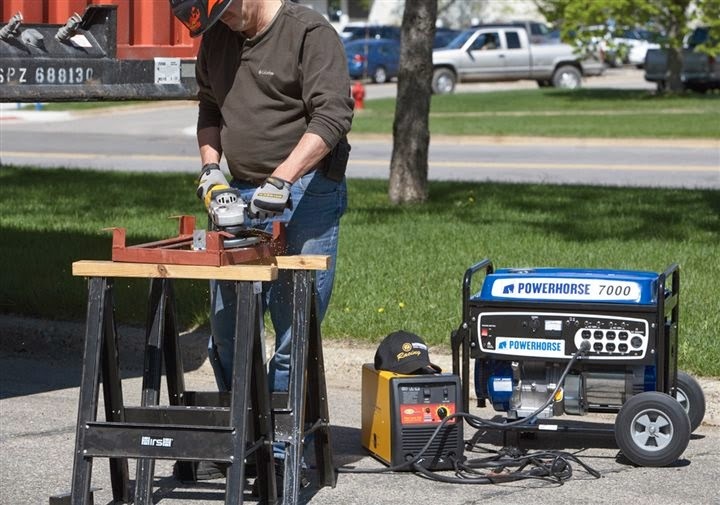 In addition, portable generators can provide electricity to run essential items inside your house during a power outage. Having these backup power items can help save money in the long run and ensure you are prepared. Being ready to tackle a variety of home-related projects is part of being a responsible homeowner. Know your limits, though. If you run into a project you can’t tackle yourself safely, call a local professional for help. As ever-increasing home energy bills continue to plague North Texans, Keller, Southlake, and North Richland Hills homeowners are looking for cost-effective ways to reduce their heating and cooling costs. If your house has not been properly insulated, you may be paying more than you should to heat or cool it. Nearly all modern DFW homes have insulation throughout the living spaces, but garages commonly get overlooked. Because the garage is the last barrier between your home and the outdoors, it's important to ensure the insulation is adequate. You can do a few simple things to make sure your garage is insulated properly. First, it’s important to ensure that the door leading from your home to the garage is sealed properly. If air leaks through the cracks around the door, it's nearly as problematic as leaving the door wide open. Weather-stripping kits are available to insulate the edges of your door. Some are made to just go along the bottom of the door, and some fit around the edges to prevent any air leaks. Other areas to consider when checking your garage's energy efficiency are the ceiling and the garage door threshold. If there is a room above your garage, it may be beneficial to bolster the insulation in the garage’s ceiling to help keep the living space above it comfortable. For the threshold, installing a rubber seal-strip on the floor where the garage door closes helps prevent air leaks, and keeps out insects and rodents. That said, one of the most important areas to examine is the garage door itself. While installing a pre-insulated garage door can cost up to a thousand dollars or more, and requires a skilled contractor, there is a simple and inexpensive DIY solution to insulate your garage – garage door insulation kits. Home owners can easily insulate their existing garage doors with these kits, which are readily available in leading home improvement stores or online. These affordable and easy-to-use kits are made to fit standard garage door sizes and can be cut to fit non-standard sizes. With pre-packaged insulation, do-it-yourselfers can insulate their garage door in less than an hour, at a cost of less than $100. Kits use energy-efficient expanded polystyrene (EPS) insulation panels – a rigid white foam that trims easily, is durable, offers excellent long-term insulation, and gives your garage a professionally finished look. Keller homeowners do not need technical skills to install garage door insulation. Simply cut the insulation panels to size with a knife and straightedge, and flex the panels into place between the garage door’s horizontal rails. The panels remain firmly in place without the use of messy glues or awkward tape. There are several how-to-videos on youtube and throughout the web. During fall and winter, the insulation helps keep heat inside the garage so that the furnace does not work as hard and use as much energy. In the summer, the insulation helps keep the sun’s heat at bay so the garage can stay cool. Insulating your garage also helps reduce interior noise and is sometimes considered an energy-efficient upgrade (check your local energy guides for more information). Cooler temperatures are on the horizon and now is your last chance to begin checking items off your seasonal to-do list. Complete simple projects so you can be ready to enjoy your Keller home this winter season. Cool but not freezing temperatures can provide a window of opportunity for the perfect painting weather, especially if you're looking for a simple weekend project that provides instant results. These mild temperatures allow you to open windows and circulate fresh air while applying new color to your walls. Select bright shades for interior spaces to fend off the approaching winter blues. Now that you’ve warmed up your space with color, you can focus on preparing the rest of your home for the winter. Flip your ceiling fan blades so they run counterclockwise – which will push warmer air down to instantly heat up the room. A fast fix to keep cold air out and warmer air in is to install weather stripping on your doors and windows. Regulate the temperature of your Keller home by adding area rugs for extra layers of insulation, especially if you have wood floors. Make sure you’re not left out in the cold by scheduling a furnace checkup to ensure everything’s running properly. You’ll thank yourself later for not waiting until it breaks during a snowstorm to have it fixed. If your home has a fireplace and chimney, hire a professional chimney sweep to remove any debris that could potentially ignite and wreak havoc on your home during the months ahead. Even though much of your time will be spent indoors during cold months, it’s important to remember your outdoor obligations. Winterize any pipes that are exposed to outdoor temperatures and turn off the water to exterior faucets. Be sure to disconnect all hoses and spigots and drain all remaining water from the pipes, as leftover water can freeze and cause the pipes to burst. Cover grills and air conditioning units, and store outdoor furniture, umbrellas and cushions in a shed, garage or covered area to prevent rust and damage from the elements. Thoroughly clean gutters, give your lawn a final mowing and fertilize and prune your flowers just before the temperatures drop to an uncomfortable level. This will minimize the work that needs to be done when the ground thaws in spring. By taking the proper precautions and completing these seasonal projects now, you’ll save time and money, all while keeping your Keller home well-maintained and looking great heading into the months ahead. Hiring a professional to weatherize isn’t necessary. Many easy-to-use weatherization products are available that require minimal – if any – tools, and can be installed in just a weekend. Many do-it-yourself weatherizing products are easy on your wallet. Actually, Southlake homeowners can potentially save hundreds of dollars per year on their heating (and cooling) costs by properly air sealing their homes and keeping thermostat temperatures low. It’s never too early to weatherize, especially as you prepare for Old Man Winter. For best results, take a top-down approach: Start with the attic, winterize windows, close gaps around and under doors, and hit the walls to tackle hidden sources of energy loss. Be sure to check your Grapevine home’s nooks and crannies, too. Being cold inside your home may be a sign your North Richland Hills house isn’t weatherized properly. One common place to feel drafts is by doors, especially as cracks and gaps can let cold air in and warm air out. Look for insulating seals to stop leaks, a no-nails-needed door bottom, draft seal slides to prevent drafts from under the door that can help keep out moisture and water. Windows and doors are prime spots for energy loss, accounting for most air leaks and bitter drafts entering your North Fort Worth home, but behind-the-scenes sources also should be addressed. Something as simple as insulating electrical outlets and switch plates on exterior walls can create a buffer between the outdoor air and your home’s inside. To prevent drafts even further, don’t forget to check the attic. Attic access openings or pull-down stairs are often overlooked and are actually a big source of energy loss.